I am happy with the way the yoga communities in GenSan are progressing. More and more people start to take interest in the practice, and the reception is with such fervor that we can no longer consider it a fad. I am also happy that there are more options for timetables and classes in the city. In Bodhi Yoga Center, students can choose from Beginner to Intermediate classes. We have Vinyasa classes, Mysore-style or led Ashtanga classes, and simple Yoga Basics. We also started to roll out pre-natal yoga classes but are currently still private sessions. We have a staple 6:00 PM class from Monday to Friday. Students can also ask us to schedule 8:00 AM and 7:30 PM group classes if they wish. Also, private sessions may be booked so as to focus on the student’s individual needs. 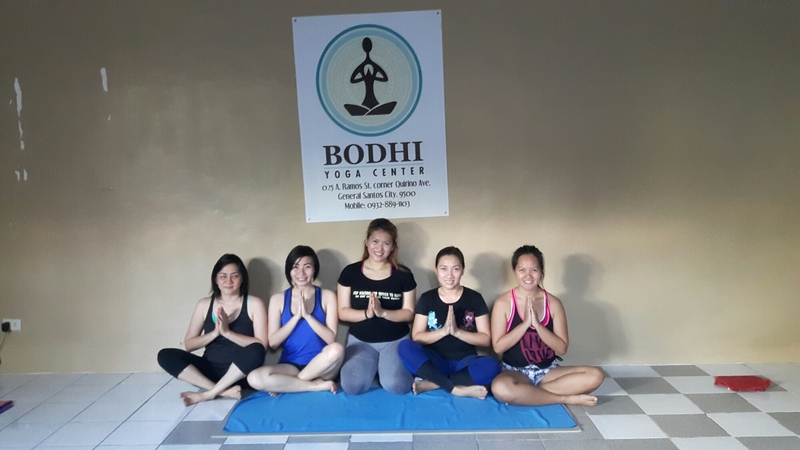 For bookings or inquiries regarding our Studio Classes, please contact me at Bodhi Yoga Center, mobile number (+63) 932 8891103 or e-mail at info@bodhiyogacenter.com. For those aspiring to become yoga teachers, Bodhi Yoga Center is hosting a residential 200-Hour Vinyasa Yoga Teacher Training program. This will be led by Vinay Jesta, an Experienced Registered Yoga Teacher who currently conducts trainings across India and Europe. For more details about this program, kindly visit http://bodhiyogacenter.com.